Since hitting the market in 2004, e-cigarettes have become a popular choice for many people. While they are often touted as a healthier alternative to traditional tobacco product, little is actually known about the health consequences potentially associated with these products. The use of e-cigarettes is growing rapidly. According to the U.S. Centers for Disease Control, about 21 percent of adults who smoke traditional cigarettes had used electronic cigarettes in 2011, up from about 10 percent in 2010. Overall, about six percent of all adults have tried e-cigarettes, nearly double the estimate from 2010. Because e-cigarettes deliver nicotine without burning tobacco, they are often touted as being a safer alternative to traditional cigarettes. However, this has not been proven. In fact, because there is currently no regulation of e-cigarettes in the U.S., there is no way to know what chemicals are contained in e-liquids, or how these products might impact a user’s health. Whether or not e-cigarettes actually caused these problems is not known. The FDA acknowledges that some of these incidents may be related to a pre-existing medical condition or to other causes. The FDA first attempted to regulate e-cigarettes in 2009, when it sought to ban such products as unapproved drug delivery devices. However, that ban was struck down in the courts, which ruled that the FDA could only regulate the devices as mainstream tobacco products. 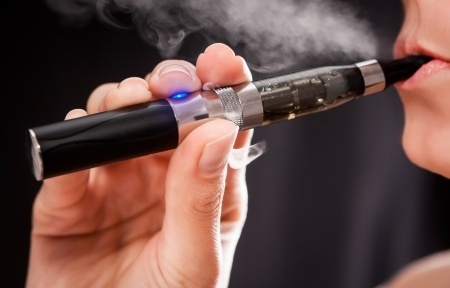 The e-cigarette industry has mounted a legal challenge to the the new FDA regulations.